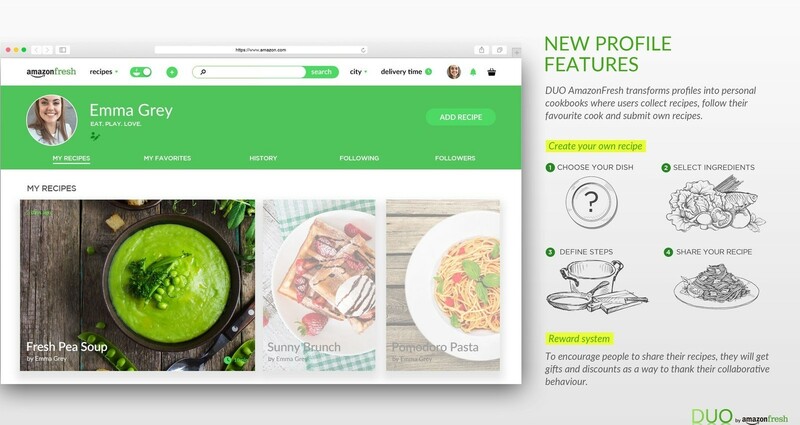 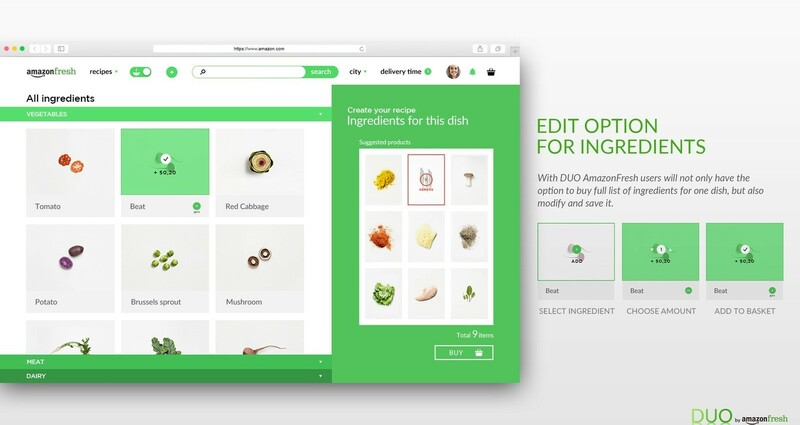 Transform Amazonfresh into a special ecommerce experience – especially for foodies – that also showcases the wide range of products available on the platform. 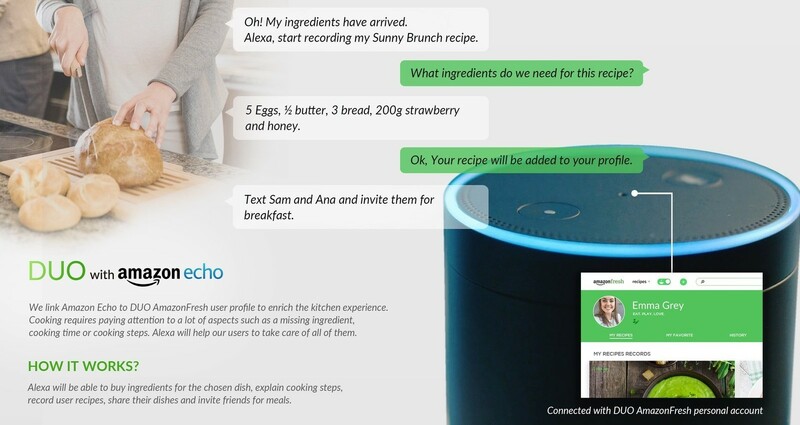 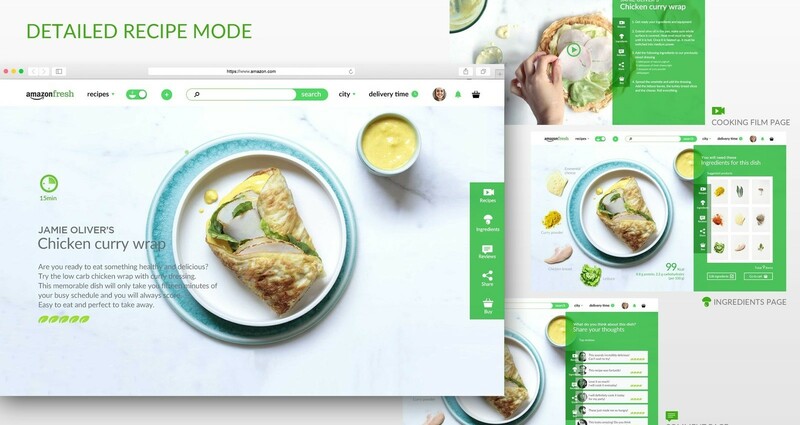 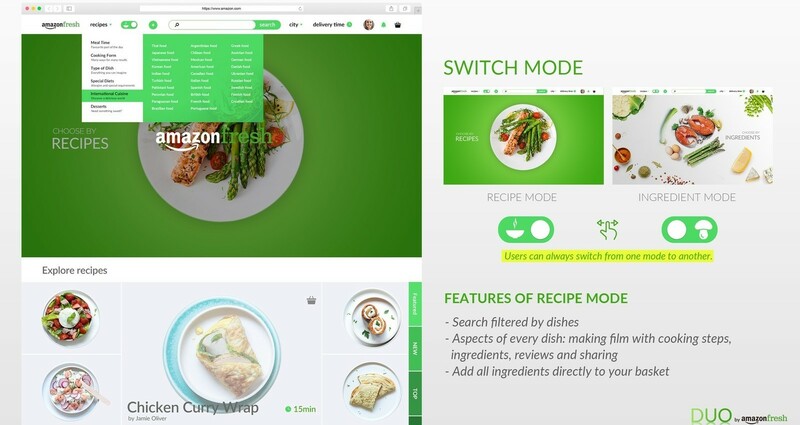 Foodies would be able to select whether they would like to shop by recipe or ingredient and the platform would use its smart algorithm to complete the shopping list. 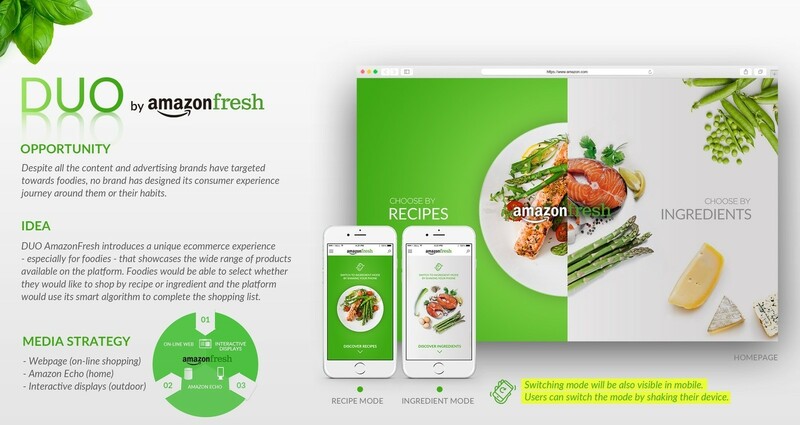 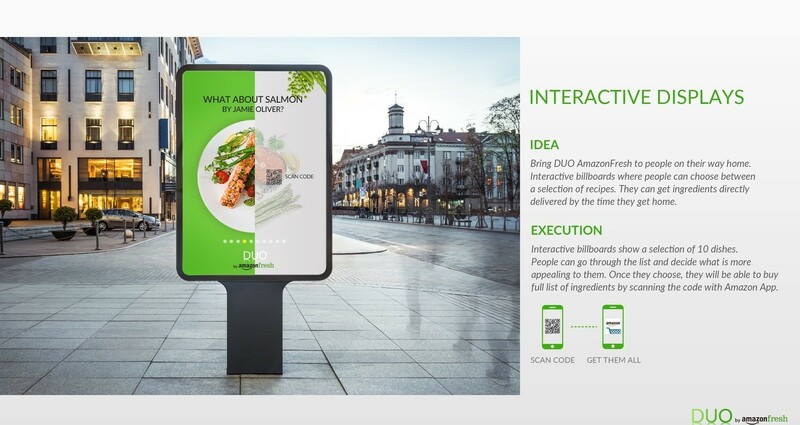 Evoke epicurean imaginations with a content identity that promotes AmazonFresh as a unique foodie destination.